Located in the heart of downtown Baltimore, a short walk from Baltimore’s Convention Center, Camden Yards, and Royal Farms Arena is the Holiday Inn Inner Harbor at 301 W. Lombard Street. Along with the refreshed 365 rooms are the common areas including the lobby, lounge, coffee and gift shop serving Baltimore’s own Zeke’s Coffee, business center, indoor pool, event space including the 4,000 sq. ft. Chesapeake Ballroom and notably a new restaurant, Pappas Sports Bar. 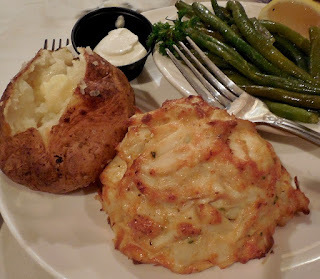 Yes, Baltimore, one the contenders for the Best Crab Cake in Baltimore, Pappas will be offering their award-winning crab cakes to visitors and locals alike in their first downtown location.